The former wife of the Russian oil and real estate magnate Shalva Chigirinsky bought a sprawling luxury apartment in a new condominium conversion on the Upper East Side, and at $17,310,250, it was the most expensive closed sale of the week, according to city records. Tatiana Panchenkova paid just below the $17.5 million asking price for the sponsor unit, No. 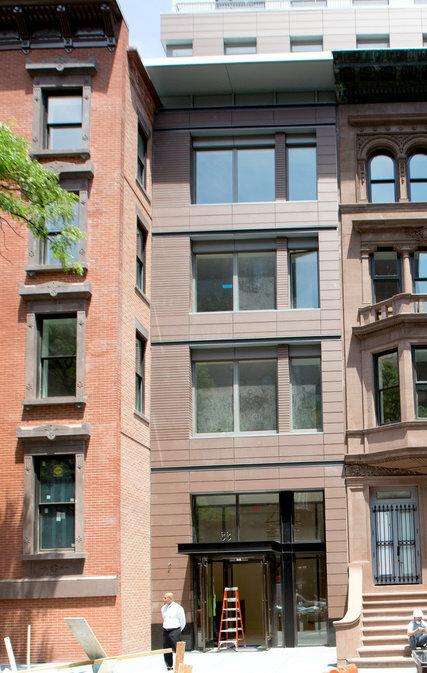 5A, at 33 East 74th Street, at Madison Avenue, a development created from 19th-century brownstones once owned by the Whitney Museum of American Art. The monthly carrying costs total $11,463. Yana Markovski of Domus Realty represented Ms. Panchenkova, while Katherine Gauthier of Douglas Elliman Real Estate was the listing broker. The apartment has nearly 4,000 square feet that includes four bedrooms, three and a half baths and an 18-by-30-foot living and dining area that flows into an eat-in kitchen with a 12-foot center island. There is also a laundry room and ample storage space. The spacious master suite features a private gallery with two large walk-in closets. The condominium complex was developed by the health care entrepreneur Daniel E. Straus, using an affiliate company, JZS Madison LLC, and was designed by the architecture firm Beyer Blinder Belle. Interiors are byChampalimaud Design. Ms. Panchenkova, who also has a home in Greenwich, Conn., has been divorced from Mr. Chigirinsky since 2009. She and her former husband have been mired in a bitter dispute over custody of children and division of marital assets, according to published reports. The week’s runner-up sale, at $8,960,600, according to records, was another four-bedroom three-and-a-half-bath apartment — this one at River & Warren, a new Battery Park City condominium at 212 Warren Street. Jorge Mesquita, the worldwide chairman of Johnson & Johnson Consumer Companies, purchased the 2,853-square-foot unit, PHN, with Susana Lobo. The monthly carrying charges are $8,822. The sponsor apartment has panoramic Hudson River and cityscape views, according to a listing, and a 1,871-square-foot roof deck with a full kitchen. There is also a laundry room. The Corcoran Sunshine Marketing Group handles sales for the building, while Brooke Joslyn of Stribling & Associates represented the buyer.